We love hearing from our guests! 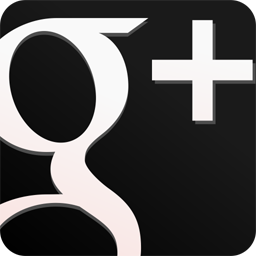 Tell us what you thought of your stay on TripAdvisor and Google+. I’m pleased to predict that with last week’s snow, which showered Cape May with about 6 inches of that horrible white stuff, Winter has moved on, leaving us with the happy prospect of Spring. Bulbs are popping up in all of our gardens and it is simply a matter of time before our gardens will be blooming gloriously. Spring isn’t just about flowers, leaves on the trees, and longer, sunnier and warmer days in Cape May. Spring is also filled with wonderful events to experience and enjoy, including The Queen Victoria Whiskey Tasting Weekend, the Cape May Sherlock Holmes Murder Mystery Weekend, Singer Songwriter Cape May (more on this later! 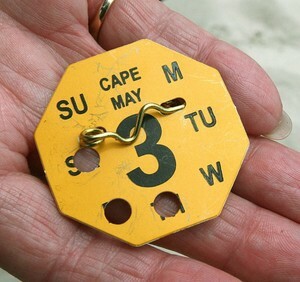 ), monthly Birthday Weekends in March & April, and the return of the Cape May Spring Festival in April. In addition to all of these events, Spring signals the re-opening of many shops and restaurants that close during the coldest Winter months. Better yet, The Queen Victoria still has a spectacular midweek discount package through the end of April. Springtime in Cape May is a wonderful season filled with renewal, warmer temperatures, and cheer. You really have to experience it for yourself to understand. What better way to leave this dreary, cold Winter behind than a trip to your favorite seaside resort? Located on the 3rd floor of our House of Royals building, the Princess Louise room is an excellent choice for you if you are interested in an ocean view. It is a bright, spacious and cheery room with views of the beach from both the bedroom and the large bathroom. 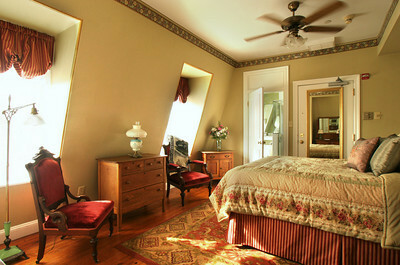 Like most of our rooms, it has a comfy queen sized bed, featuring a beautiful tapestry as a headboard. 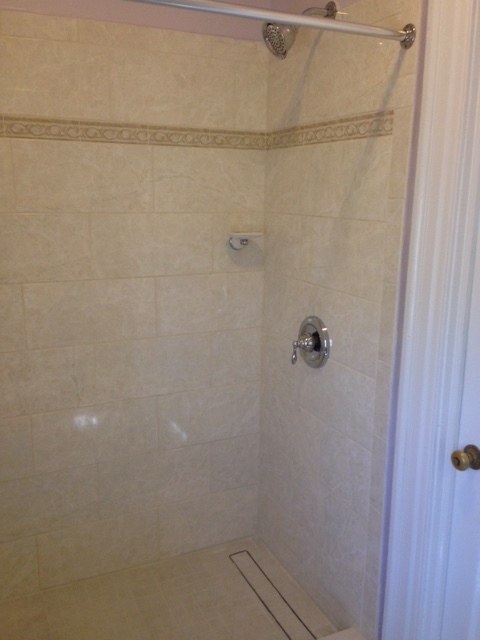 The bathroom features an elegant marble floor, a large step-in shower, and heated towel bar. Being on the top floor of the building, it also features the deep-set windows, almost like dormer windows, created by the Mansard roof of the building, which give the room a lot of character. We recently installed a new wood floor in the Princess Louise room, so it has a very neat, updated feeling to it. It also has a new 32” flat panel TV with DVD player for your enjoyment. I’ve always really liked the Princess Louise room, and I think you will too! Inspired by St. Patrick’s Day, and originally envisioned as an Irish Whiskey tasting event, our 3rd annual Whiskey Tasting has evolved to include any and all types of Whiskey. This is a unique “BYOW” event (Bring Your Own Whiskey), where each participant brings a bottle of their favorite to match up against the entries of the other participants. We do a blind tasting of all submissions and spend the afternoon sipping, tasting and savoring some really great Whiskey before voting for our favorite. The winner gets bragging rights! When was the last time you got to taste more than 10 different Whiskeys at one sitting? For someone who appreciates Whiskey, it is truly a wonderful experience. We’ll be serving some seriously great Irish Fare again this year, so we’ll all be properly fortified for the event. Non-drinkers are welcome to enjoy the food as well. If nothing else, it is a free lunch! Our first two Birthday Celebrations this winter have been great fun. Of course, we’re not done yet. We’ll be celebrating Birthdays again both this month and next. What could be better than celebrating the person you love most in life? That IS how you feel about your partner, right?! We’re continuing our tradition of hosting a monthly birthday party this Winter for our guests who want to celebrate their birthday at their favorite B&B. We have cake. We have balloons. We sing “Happy Birthday”, at least a little bit off key. We even have little party favor gifts. In short, we have fun! If your loved one has an upcoming birthday and you want to do something really special for them to celebrate it, it would be hard to top a trip to The Queen Victoria! We’ve been pretty busy this winter updating the inn and one of our bigger projects was the installation of a new floor and shower in the Mayfair room. You might know that Mayfair used to have a one-person whirlpool tub. We decided to replace that tub, which we were having trouble with, with a big, beautiful 2-person sized step-in shower. This is a really cool shower, with a fancy new type of drain that doesn’t create the little dip at the center that most showers have. You can see it on the lower right of this photo. It isn’t exactly hidden, but there are actually tiles laid over the top of it and the water flows into the gaps you see in the photo. If you already have a reservation booked for the Mayfair room this year, I think you’re going to enjoy this large, comfortable new shower a lot. If you are planning on booking a room for an upcoming visit to The Queen Victoria, perhaps you should consider the Mayfair room. It has our newest bathroom! If you are able to travel mid-week (Sunday through Thursday) you can take advantage of our “222” package. This package offers 2 nights for $222 in a standard room. Upgrades to larger rooms are possible at similar savings. Everybody loves a discount, and this is the biggest discount of the year at The Queen Victoria. If you book a 2 night stay, you’ll save $134.52! By the way, you can make it a “333” or “444” discount if you wish. There are only a couple of weeks left to take advantage of this terrific package. The Winter Escape is ANY 2 nights (including weekends) in a Large Standard room for $325. Upgrades to Premium rooms and suites are also possible at similar savings. What a great way to attend the Whiskey Tasting weekend! This package also includes a complimentary cheese tray and free wine tasting! The 8th Annual Singer Songwriter Cape May festival is coming soon. If you love music, this festival is an excellent reason for you to plan a March visit to Cape May. This event is consistently wonderful, featuring 150 performances in 14 different venues in Cape May, most of which are within an easy walk of The Queen Victoria. All but the two headline acts, one Friday and one Saturday, are completely free. Singer/Songwriters of all styles will be performing their latest and greatest material in the hopes of being discovered by the industry professionals who will also be in Cape May. This is your chance to discover them, and perhaps get to know them, before they become famous! Hopefully I’ve got you excited about Singer/Songwriter Cape May. What I’m really excited about is the exclusive, invitation only, concert that Avi Wisnia will be performing at The Queen Victoria on Saturday, March 28, exclusively for guests of The Queen Victoria. 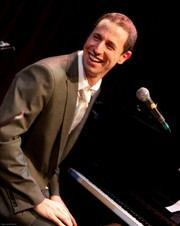 Avi has been performing at the Singer/Songwriter Cape May event for several years now, gaining in stature and establishing himself as one of the premier performers. Because he usually stays at The Queen Victoria, Anna Marie and I have had the pleasure of getting to know him, as have many of our guests. While Avi performs in The Queen Victoria parlor during afternoon tea, we’ll be serving hors d’oeuvres in addition to our traditional offerings. This will be a BYOB event, which I expect to be a lot of fun. Avi will be signing/selling CDs during this event and he is always anxious to chat with other guests throughout the weekend. Avi is an award-winning singer/songwriter who presents an eclectic mix of refreshingly original songs and inventive covers, finding inspiration in Brazilian bossa nova, acoustic American folk, 1950’s west-coast jazz, and contemporary pop. This concert will surely be the coolest thing you’ve experienced in a long while. Make your plans today to attend this very special event. Most of us thankfully have loved ones who we need to buy presents for from time to time for a special occasion. Perhaps it is your parents, your (adult) children, or your spouse/partner celebrating something significant. Eventually, it becomes almost impossible to come up with something that they really want or that they don’t already have. When you find yourself in that situation, I suggest you consider a gift certificate to The Queen Victoria. They are easy to purchase, are sure to please, and have the additional benefit of being welcome every year. In some cases (spouse/partner) you’ll get to enjoy the use of your gift too. I thought that I would try to get double duty out of this month’s favorite guest photo. 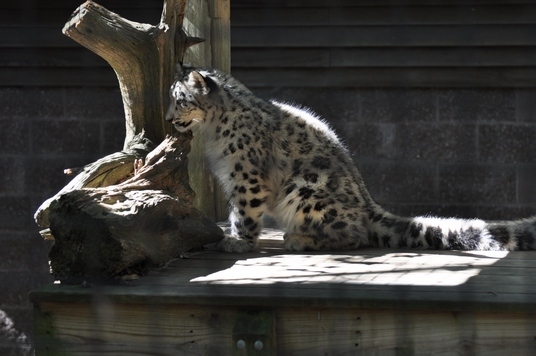 This picture is of one of the Snow Leopard cubs that was born at the Cape May Zoo a couple of years ago. Thanks to Gary Weisner for this great shot. As the weather warms up the zoo is once again a great destination for a fun afternoon in Cape May. In fact, I think that Spring is the perfect time for a visit to the zoo. If you’ve never been to the Cape May Zoo, be prepared to be impressed. It is a very large zoo, filled with an amazing variety of animals, reptiles and birds. You could easily spend half a day exploring it all and still not see everything. The zoo is located at exit 11 on the Garden State Parkway. Admission to the zoo is free, though they gladly accept donations. I think most people donate generously in appreciation for a wonderful experience. Afternoon Tea is always a special time at The Queen Victoria. One of the things I like about it is the opportunity to try some wonderful new tea that you might not have had before. You’ll be pleased to know that virtually any tea that you enjoy during this daily event is available for purchase in our gift shop. As you can see from the picture above, each of the teas is attractively packaged in a cute little tin, making them great for gifts too. I can’t guarantee that you’ll enjoy your 4:00 cup of tea at home as much as you did at The Queen Victoria, with all the goodies and the fun conversation with other guests, but it is sure to put a smile on your face as you remember the moment from your last visit with us. Next time you’re at The Queen Victoria, take some of our wonderful Harney’s teas home with you! No, we don’t sell beach tags in our gift shop, but I thought this might be a good place to mention the availability of discounted beach tags to our faithful guests. LOTS of you visit The Queen Victoria during beach tag season (May 22 through September 7 this year). For those of you who plan at least 4 days on the beach this summer, whether during one visit to The Queen Victoria, or more, it makes a lot of sense to purchase a discounted season beach tag. Tags went on sale December 1 and are available at the discounted price until March 31. By the way, Cape May offers free seasonal beach tags to all Veterans and active military personnel. You must present ID in person at City Hall to obtain these tags. I’ll admit it. We have NEVER featured Louisa’s in our newsletter before. There was actually a pretty good reason for that. Louisa’s has always been a small restaurant. Seriously small! Literally 18 seats small. Between that and their reservation policies, the chances of actually getting a reservation weren’t good. So despite the fact that we always liked Louisa’s, it just never made sense to share it with you. Now, however, we’re pleased to tell you about Louisa’s. Why the change of heart? Well, Louisa’s recently completed an expansion, adding 12 seats. The new owners are also much more flexible in their reservation policies, allowing us (or you) to call and reserve for any time at any time. 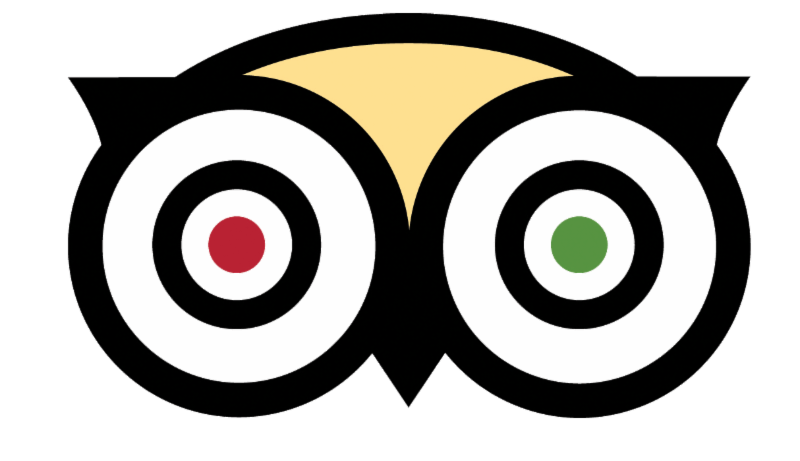 So now that you can actually get a reservation, let me tell you why you would want to. First of all, Louisa’s is a charming, fun and funky little place. The food is delicious and fresh, and simply prepared, for the most part. Louisa’s claims to be Cape May’s first “Farm to Table” restaurant, which is all the rage here now. They’ve been doing it for as long as Anna Marie and I have been here.&nbnbsp; It truly does seem like the ingredients are just a little fresher than just about anyplace else. It is the kind of place where the menu is on the blackboard on the wall (they may need another black board for their new dining room). I think of Louisa’s as fairly light dining, not because of small portions, but because of the nature of the food. What do we like, you ask? 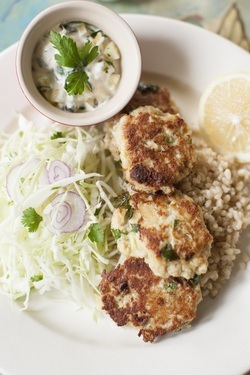 I’ve been stuck on the Crab Cakes (pictured above) for a while now. They are not the best in town (Freda’s holds that vaunted position in my mind), but they are excellent, served with brown rice and a wonderful coleslaw. Anna Marie loves the Flounder, which is served with the same sides. Any sauce that is featured with one of their dishes is always served on the side, and if they offer multiple sauces, they’re happy to give you both. Bread is served in cute little bowls for each couple, and they are generous with it. Anna Marie and I usually split a salad, which lately has been the Roasted Beat & Feta Cheese offering. You might have guessed that Louisa’s is a BYOB. It happens to be conveniently located near Collier’s liquor store, so even if you totally forget about bringing a bottle, you can recover from your mistake quickly. Visit The Queen Victoria Soon!